After what certainly felt like the best part of a decade of spy shots and teasers, the new BMW Z4 is finally an actual thing. You can go to a dealership and order one. Perhaps you even should order one. I can't tell you if your way of life calls for something like that. 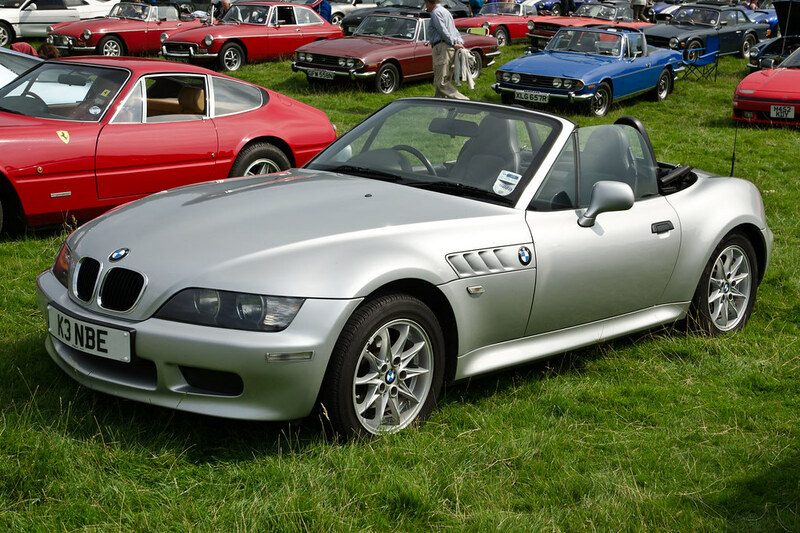 Presumably somehow inspired by long-running BBC cop drama Z-Cars, BMW's Z cars eschew the gritty aesthetic of their muse, but retain a commitment to '60s and '70s Britain and its penchant for producing sporty little 2-door convertibles. And as everybody knows, the second most important thing about sporty little 2-door convertibles (after the whole driving thing) is just how pretty they can look. But how does BMW's latest offering compare to its brethren? Specifically, does it look as authentically British as any self-respecting roadster should? These are the questions you're obviously going to want answered before you go dropping a cool $64,695. The front end is the missing link between Lotus and Daihatsu. One minute you're seeing the smooth nose of an Esprit, not letting the legal requirement to include lights in a road car affect its lines. The next you're looking straight into the oblong eyes of a 1980's Japanese shitbox. Luckily, I find Japanese shitboxes really charming. Something else I find charming is the Z1's tiny kidneys that were very obviously squeezed into a design that, if we're being honest for a moment, had already been finished without them. The only downside is that looking at the rear end straight on makes it turn into a Renault 19 Chamade. French ain't British, chap. The long engine bay and slightly bulbous hood is vaguely reminiscent of the MGA, but that's really clutching at straws. This is probably as un-British as a roadster can be. But it's still a proper, pretty car. It's small and low like any real convertible should be, the lines are the very definition of sleek and the only real design ornament—the side vents—might be just enough to convince you that Fangio himself once drove this thing. The shooting brake might have slightly sullied the Z3's reputation as a genuinely beautiful car, but the roadster really is. And it looks magnificent in green, as any British race car should. The Z9 was only a concept car, meaning it effectively doesn't exist. Much like the British motor industry (zing!). The fact that it never made it to production might be explained in part by it being ugly as sin. The substantial-looking nose with rounded twin headlights does actually have a lot of similarities with Bentley's current design language. But when the Z9 hit our eyeballs, Crewe was still churning out magisterial flat-faced cars, rather than the more sloping look of the current Continental GT. So I'm not sure whether the Z9 looks a bit like a Bentley or Bentleys look a bit like a Z9. The Z8 stays truest to the ideal of a roadster. 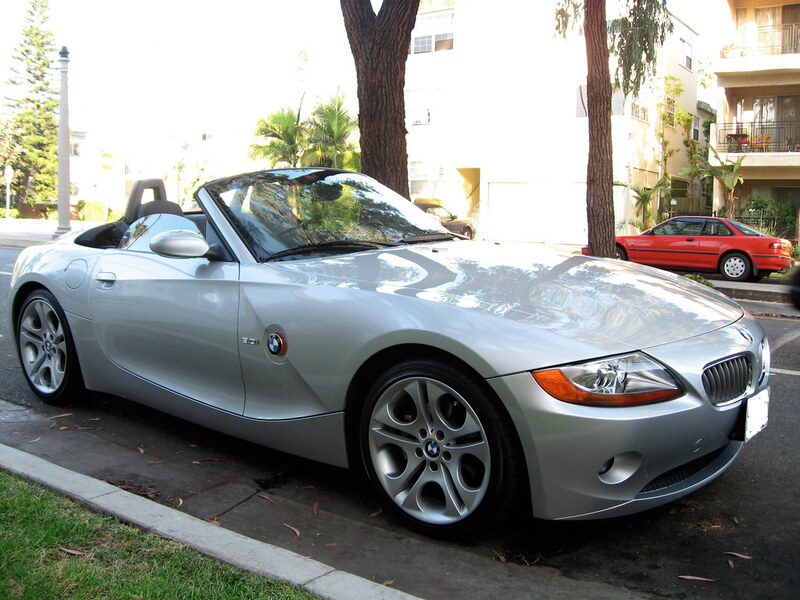 While its cousins add touches of German aggression to satisfy the 'must be a BMW' criteria, the Z8 is smooth and sleek. Everything's a curve. The chrome wing mirrors have fallen out of another era. A better era. The kidney grills don't jump out to define the Z8 as a BMW. They're stretched almost beyond recognition, into an MGB-esque mouth. The headlights climb around the corners of the nose like an E-Type. It's a very elegant face indeed. Also, the slits calling themselves rear lights, license plate recess and generally smooth, rounded back end work together to remind me of Snorlax, easily the most lovable of all the fat Pokémon. There's a lot about the E85 Z4 that feels like an homage to great roadsters of the past. The ridge arching over the front wheels and the bulging hood hint at the classy roadsters of the '50s. Squint really hard and you might even see an XK140 hiding in those lines. To reel all that class back in with a little cuteness, the trim curving upwards in front of the door gets you thinking of the Sprite. To keep things feeling modern, the arch of the rear spoiler and rounded taillights are a more restrained take on the Elise. 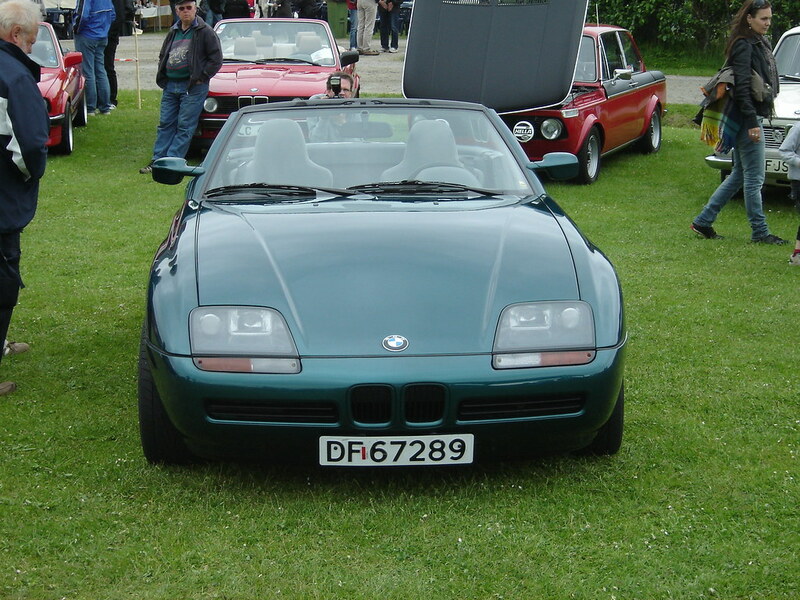 There's still something in the sharp angles of the headlights that adds a little harsh Germanness to the whole car, and it's more substantial than the Z3, but it's still a great example of what a roadster can be. On a personal level, this is my least favorite Z design. It just isn't pretty. Not roadster pretty, at least. The front two-thirds basically just look like a 3 Series, and while there's nothing inherently wrong with it, roadster's aren't supposed to look like E90s. They're supposed to be smooth and sleek and pretty. This one's too mean to be pretty. But there is a saving grace, because the E89 is ever so slightly British -- stick with me here, because the more you think about it, the more right you'll realize I am. Angular, trapezoid headlights with a low grill stretched between them. Long channels and ridges across the hood and along the length of the car. 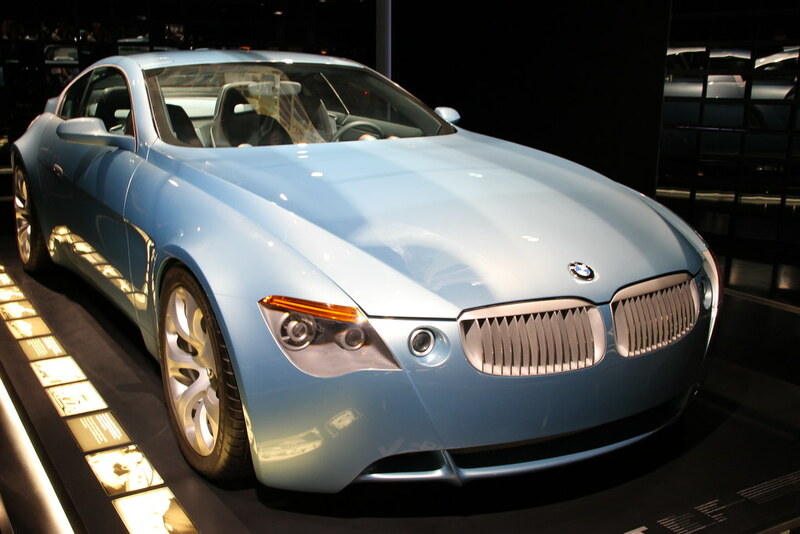 The 2009 Z4 design aesthetic is "expressive interpretation of the Austin Montego." Maybe. It's nice to know BMW still paying attention to what's going on in the British design scene, because the new Z4 pretty much just looks like the mean average of every Aston Martin since the DB9. But perhaps you've noticed that Aston Martin hasn't really been producing many roadsters, and the one they have—the Vantage—is noticeably softer than the more aggressive-looking Vanquish and DB11. It's the latter two, though, that have the most in common with the Z4. That's the problem. 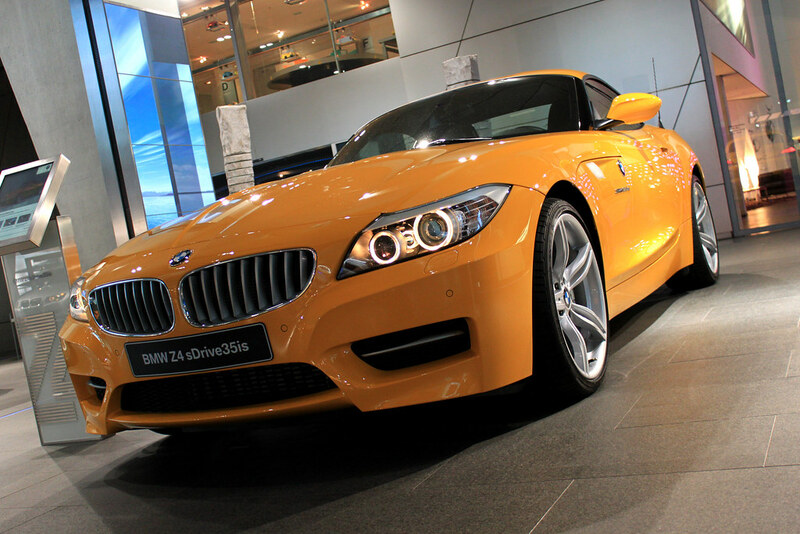 The new Z4 is definitely a prettier car than its predecessor, and it's an absolutely striking machine. But it feels more like a GT. When are BMW going to drop the aggressive design language for a moment and give us another real, pretty roadster?